Levski met the father of Assen Zlatarov – Hristo, but in spite of his help, he left the town after a three-day stay embittered for not being able to fulfill his plans. “I am unrewarded” – would later write Levski after his first visit in Haskovo. 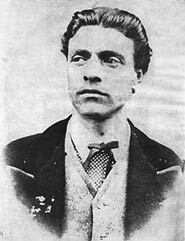 In 1872, he came again to fire the first flames of the revolution organization among the population. The work about the creation of the organization kept Lvski for a week in Haskovo. His first assistant and a chairman of the newly-founded organization became the teacher of the Central School – Petar Berkovski, an acquaintance of Levski from the ecclesiastical school of Belgrade. A few other brave people supported them: Georgi and Mihail Hadzhivancho-Minchevi, SToyan Zaimov, Shteryo Vaptsarov, Mircho Popov. After the night meetings, Levski stayed the night in the room of Berkovski in the Central School. 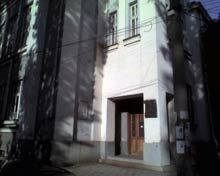 Nowadays, on the place where Levski used to hide, there is still a school building – that of “St. Kliment Ohridki” School. A modest commemorative tablet and a bas-relief remind the generations that 134 years ago Levski stayed there. The rebel also found a secure shelter in the house of Teofana Stoilova – a mother-in-law of the Deputy Chairman of the Committee – Mircho Popov. Some of the meetings of the revolutionaries were conducted there during the fateful second visit of Levski in Haskovo. On the place, where once used to be the house of the woman, there is the Library of the orphanage “Assen Zlatarov”. It is a fact that exactly in Haskovo, the liberation leader received the bad news from the Tarnovo Organization Committee for the failure of Dimitar Obshti in Arabakonak and the warning to be careful, because the Turks look for him high and low. Despite the serious blow on the liberation activity, Levski did not stop his tours around the country and in the beginning of 1872 came for the third time in Haskovo for a very short time. His aim was to turn the local organization into a regional revolution committee center and to raise money weapons. Nearly 36 are the secret committees, created by Levski in the villages around Haskovo. He visited not once the villages of Yabalkovo, Stransko, Gorski Izvor. Although that there was a great risk of being identified and caught, Levski went to buy weapon from the biggest fair of European Turkey – the Uzundzhovo Fair, near the Haskovo village of the same name. After the death of Levski, the local committee suffered another heavy blow – the unsuccessful murder attempt of the leader of the Greeks in the town – Stavri Simov – was the reason for the imprisonment of 9 committee leaders in Diarbekir. Greater part of them managed to run away in Romania and to return to fight again for the freedom of their fatherland, which their leader could not live to see.